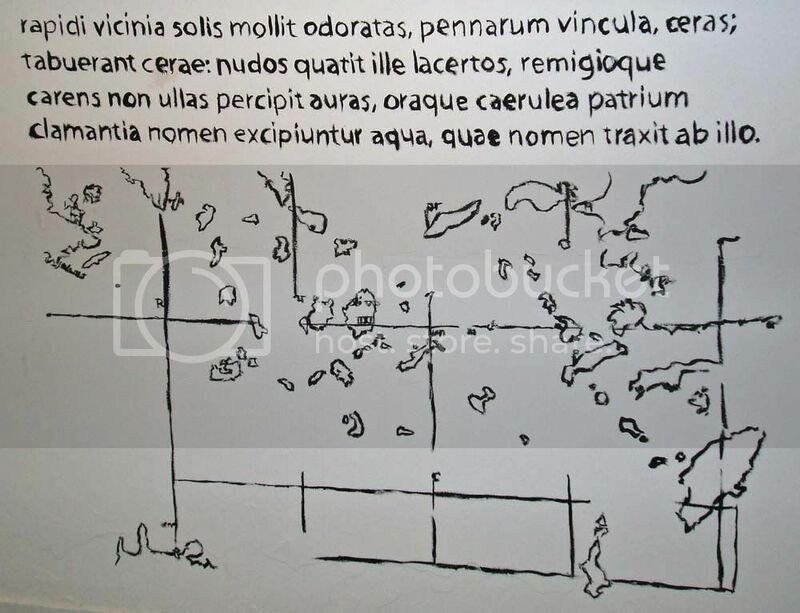 Hans/Icare consists of two fragmented maps accompanied by passages of text, painted side by side on the gallery wall. 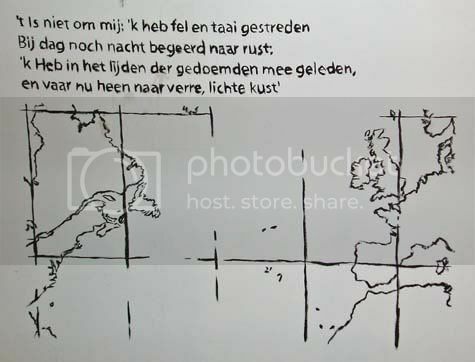 The first map is of the Atlantic Ocean with Cape Cod, America on the left, the Azores in the middle and Groninger in the Netherlands on the right. 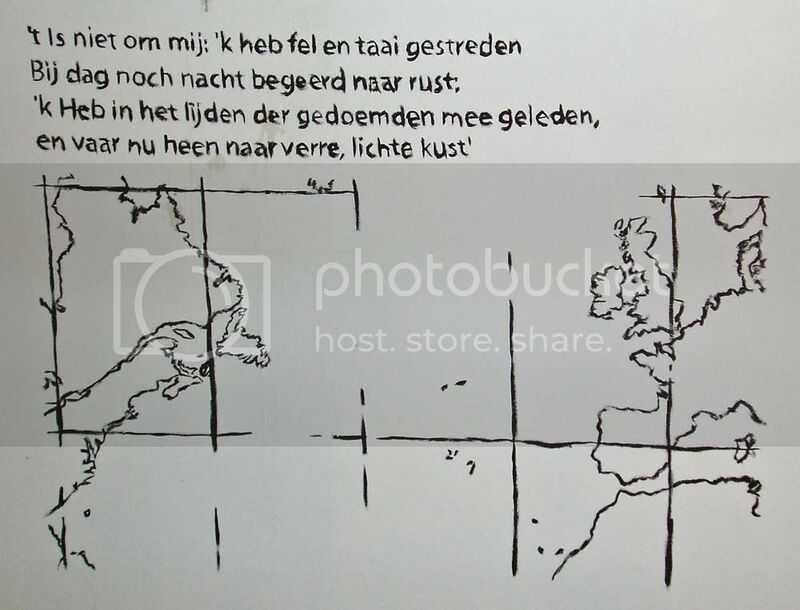 Above the Atlantic Ocean is a Dutch poem written by the father of the artist, Bas Jan Ader. The second map is of Ancient Greece with the island of Crete at the bottom left. 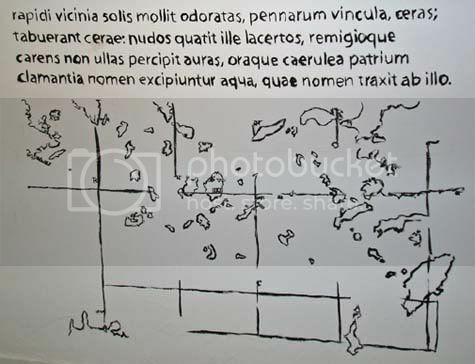 Delos, Paros, Samos, Lebinthos, Calymne and Icaria are all present as mentioned in Ovid’s recount of Icarus’ flight. Above the Icarian Sea there is an excerpt from Ovid’s description of the death of Icarus.